In July, 2008, we visited mountainous northwestern North Carolina. We hiked for miles along gorgeous trails, many lined with rhododendrons in full bloom. 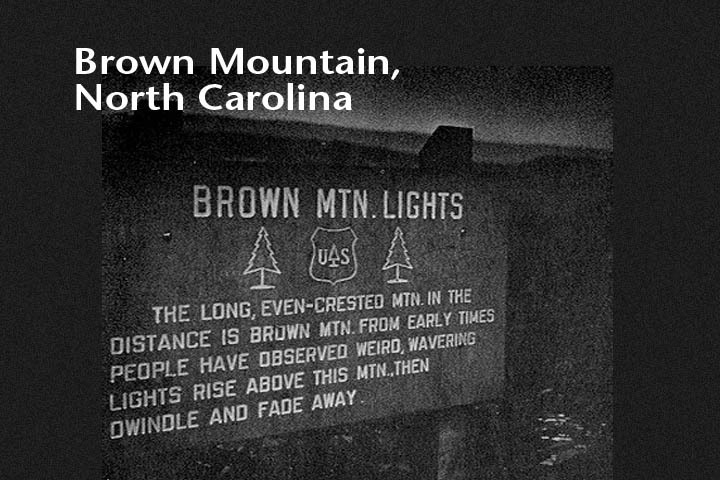 While there, we scouted the area for information about the region’s mysterious Brown Mountain Lights. 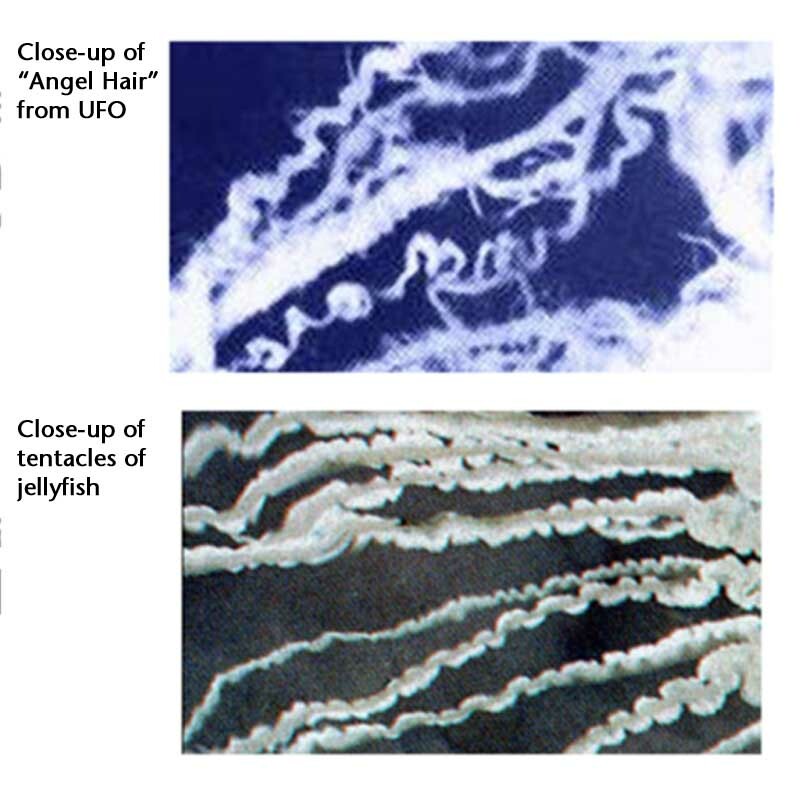 We hoped to consider evidence to suggest that they could be some undescribed form of atmospheric life. Northwestern North Carolina, near the Tennessee border, features numerous parks and wildlife refuges, including the Pisgah National Forest. Between the towns of Boone and Morganton stretches a range of the tallest peaks in the Blue Ridge Mountain Range, Brown Mountain among them. 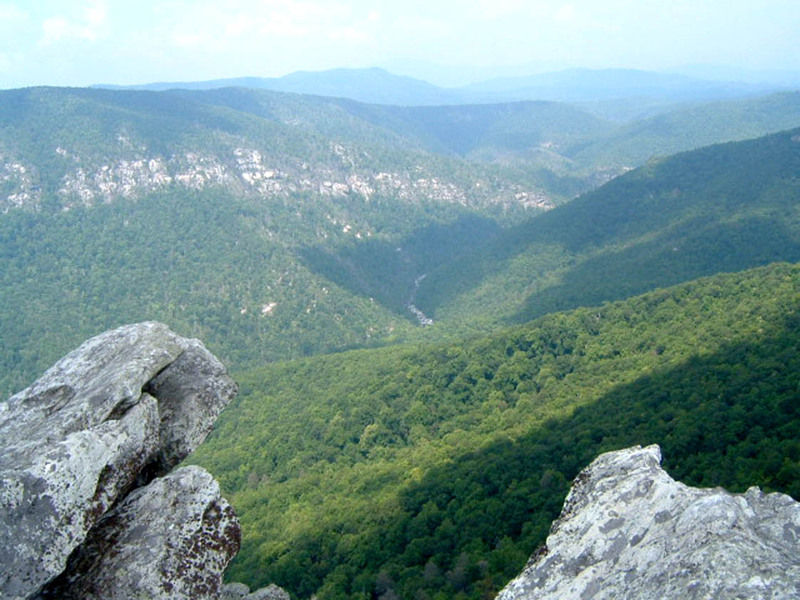 The area near Brown Mountain includes the deep Linville Gorge, through which courses the Linville River. Tall mountains rise on either side of the gorge. The view from mountains on either side of the gorge is breathtaking. 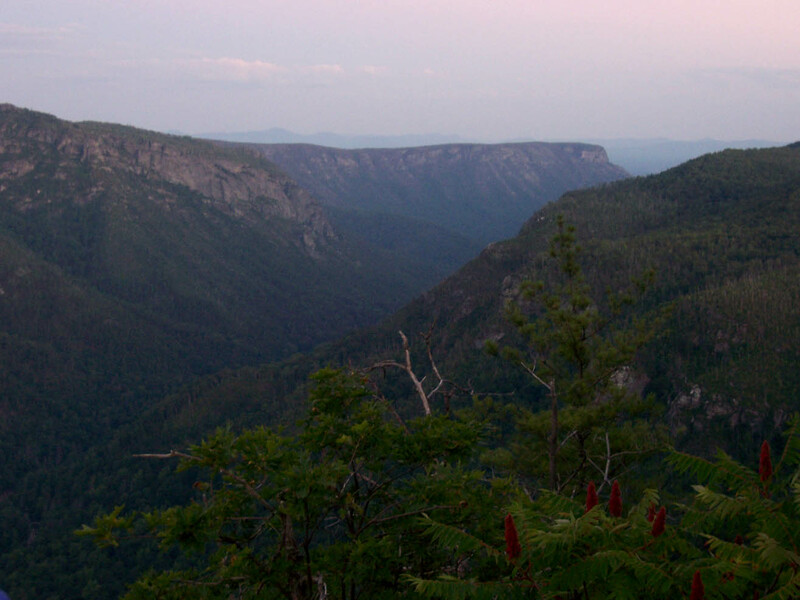 More than one observer has compared it to the Grand Canyon, yet Linville Gorge is heavily forested. In places, sheer cliffs drop from the mountains to the valley below. Falls of giant boulders line parts of the valley, over which the river cascades. On the mountainsides, rocky crevices lead to hidden caves, many housing springs that feed the river below. The surrounding area is national forest. At night, one can observe the twinkling of electric lights in the distance. But in the gorge and surrounding areas, no artificial lights disturb the darkness. 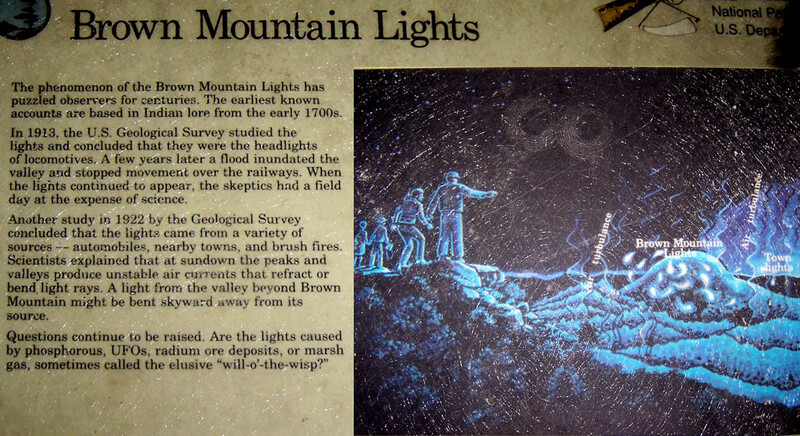 The Brown Mountain lights are one example of our planet’s many unexplained luminous phenomena. 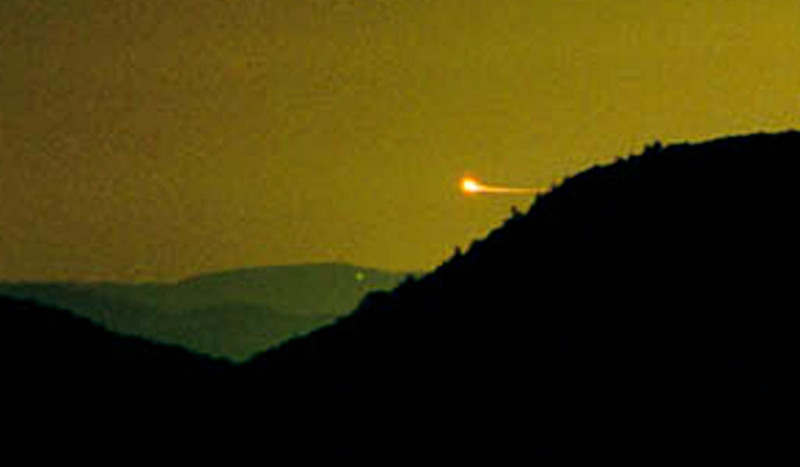 Balls of light move through the wilderness near Brown Mountain and surrounding areas. Specific details vary among stories from different witnesses. The reported colors of the lights vary. They range from the size of tennis balls to soccer balls. The lights float along ridges, among trees, and above rivers. 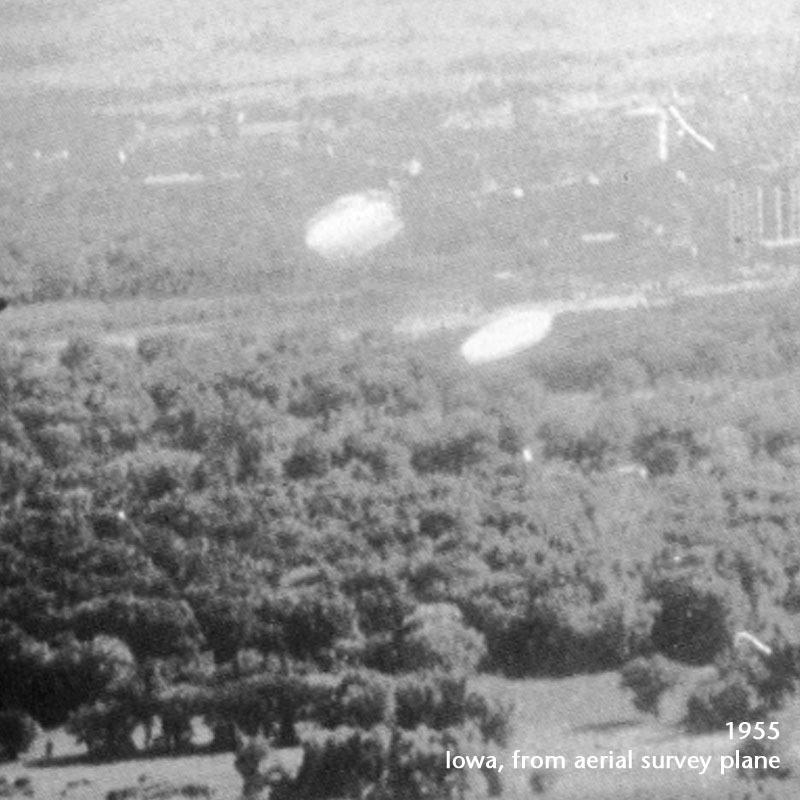 They sometimes rise into the air and flare brightly, then disappear. 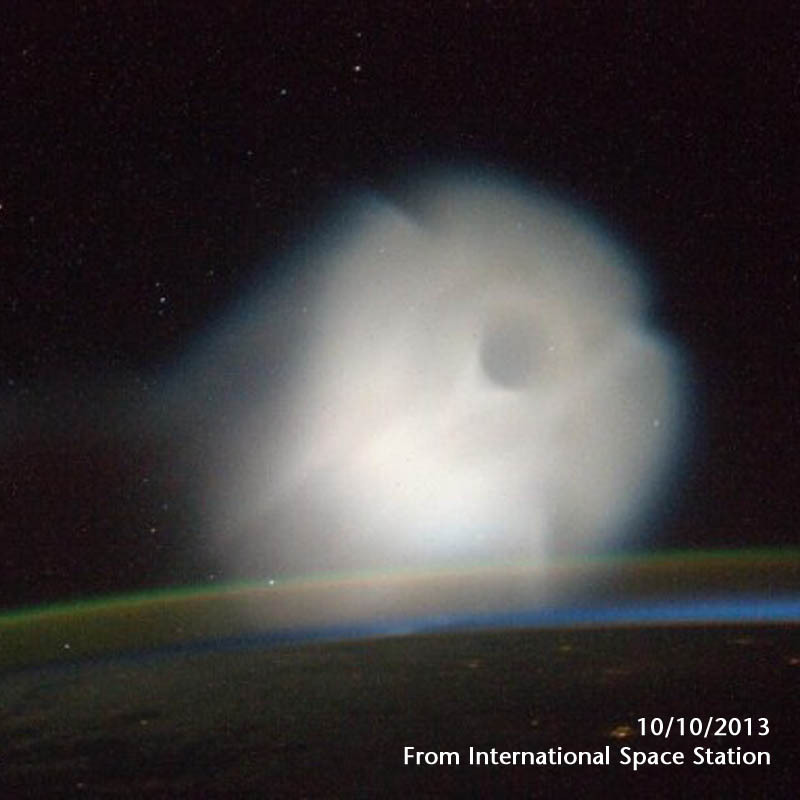 Some observers have reported lights that split in two. People have seen them for at least 200 years, possibly longer. A variety of legends relate their origins to lost slaves, murdered wives, and Indian widows hunting for their slain braves. Recent attempts at rational explanation include static charges from quartz crystals under pressure, discharges from uranium deposits in the area, and swamp gas. Many hikers we met had stories about encountering the lights. 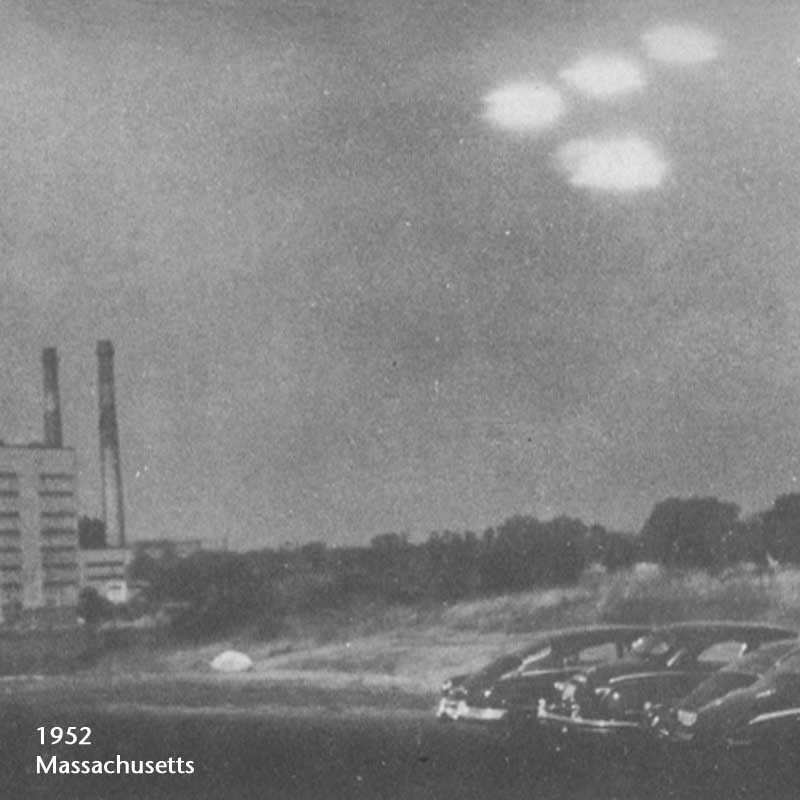 From businessmen to professors, all seriously insisted that, though they might not be able to explain them, the mysterious lights were real. At one lookout, I was fortunate to meet a regular hiker and camper from the area who had observed the lights on many occasions. He sometimes saw them near dusk, before dark. They occasionally moved together into groups, where they seemed to interact. Sometimes a light would appear on the side of a cliff. Glowing, it would descend toward the river in the gorge below. 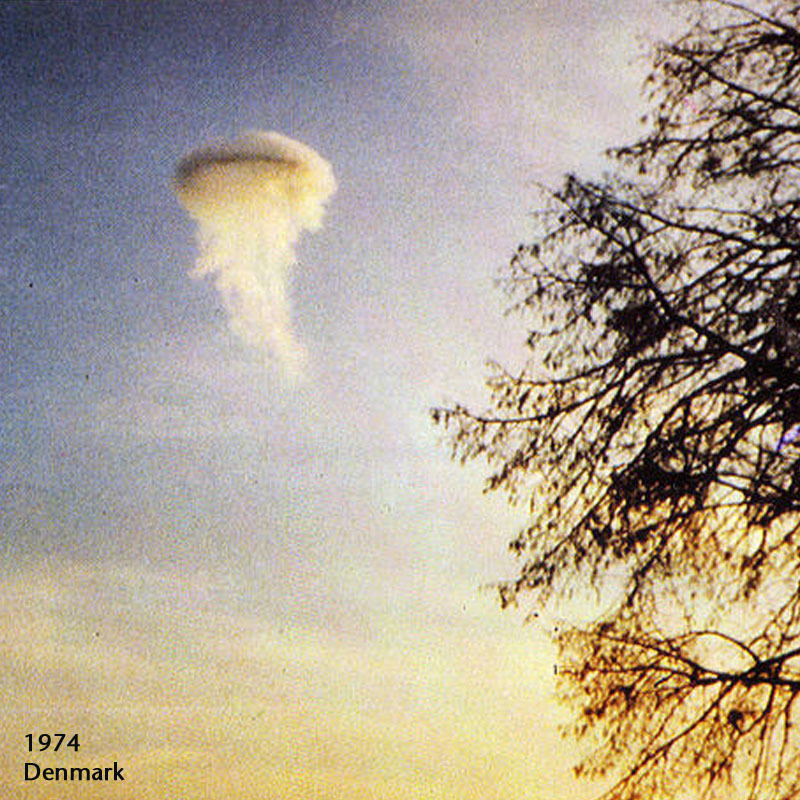 Later, a light would reappear at the same spot as the light originally appeared. 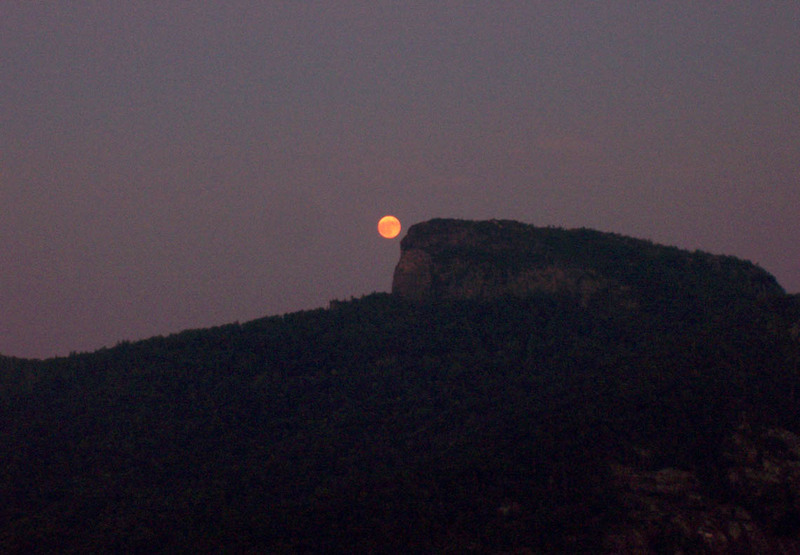 He once saw a light moving over the Linville river below. It was so bright it reflected off the surface of the river beneath it. The lights seem to increase in number and size as summer progresses toward fall. When cold weather comes, activity drops off sharply. When he stood on one side of the gorge, he observed them on the other side. But when standing on the other side, he also saw them on the opposite side, not the side on which he was standing. His observations parallel descriptions of the actions of living creatures. Like some nocturnal animals, they become active near dusk. Like bioluminescent animals, they generate their own light that flares and dims. They appear in groups and interact with each other, as living creatures do for mating, hunting, or territorial disputes. They appear from likely habitats – the crevices on the cliffs. They seem to return to those crevices. They appear near water, where, like living creatures, they may drink or hunt. They grow in number and size during the warmer months, like a seasonal population of living creatures that hatches and matures. Like other seasonal wildlife, their numbers drop with the onset of cold weather. They seem to be wary of the presence of human observers, appearing only away from their presence. The Blue Ridge Parkway runs through the area. One parking area provides a viewpoint for observers to watch the lights. The National Park Service has placed an informational plaque there. 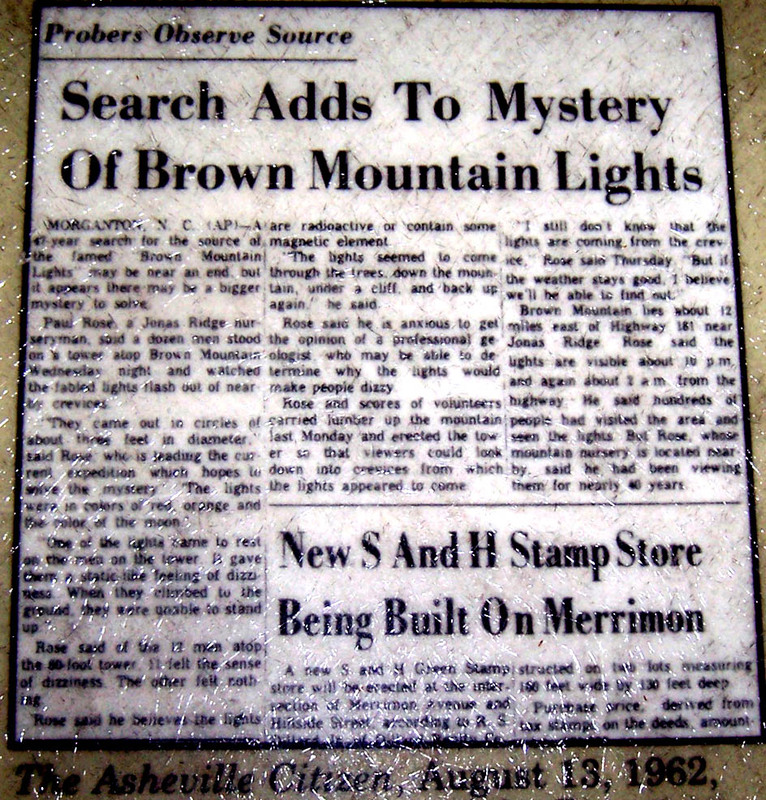 The plaque reproduces a newspaper article from 1962 that provides a fascinating story, with more evidence that points to the potential biological nature of the lights. 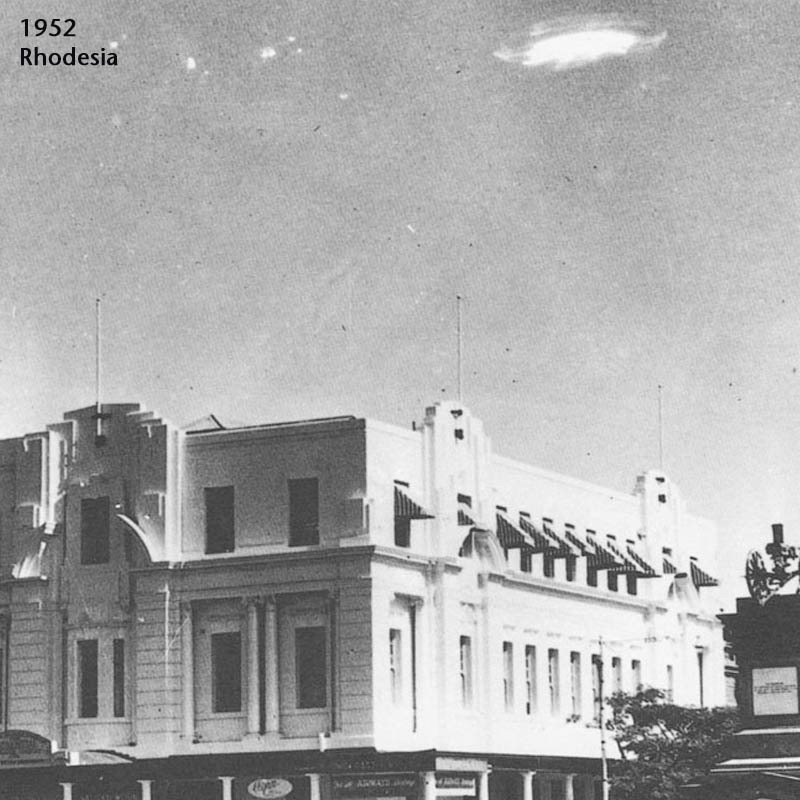 In 1962, a local resident, fascinated by the lights for 40 years, decided to study them more closely. He, along with 15 other men, built a wooden tower on top of Brown Mountain, from which they observed the lights. The men noticed the lights seemed to emerge from crevices in the mountain and rise up into the air. The lights seemed to show an interest in the men and fly near them. One light touched a man. The man felt dizzy and faint. He couldn’t stand and nearly lost consciousness. In all, 11 of the 16 men felt dizzy after being near the lights. If the lights are some kind of aerial invertebrate, perhaps, like many other invertebrates, they emit toxins that affect the nervous systems of other animals. The presence of neurotoxins would explain the men’s symptoms, with the man actually touched by a light having the most severe reaction. See the plaque and complete text below. We observed the area over several nights in midsummer. During our trip, the moon was near full. Those familiar with the lights say viewing is best on clear dark nights with little or no moon. We didn’t see any large moving balls of light, but we did observe some interesting luminous phenomena. On one night, we observed what appeared to be a a glowing ball of light in a crevice not far from us on the side of the mountain. It glowed steadily, a light bluish-white color. It appeared about as large as a softball. As we watched, it didn’t seem to move. But over time, the intensity of its light faded and it seemed to recede into the crevice. 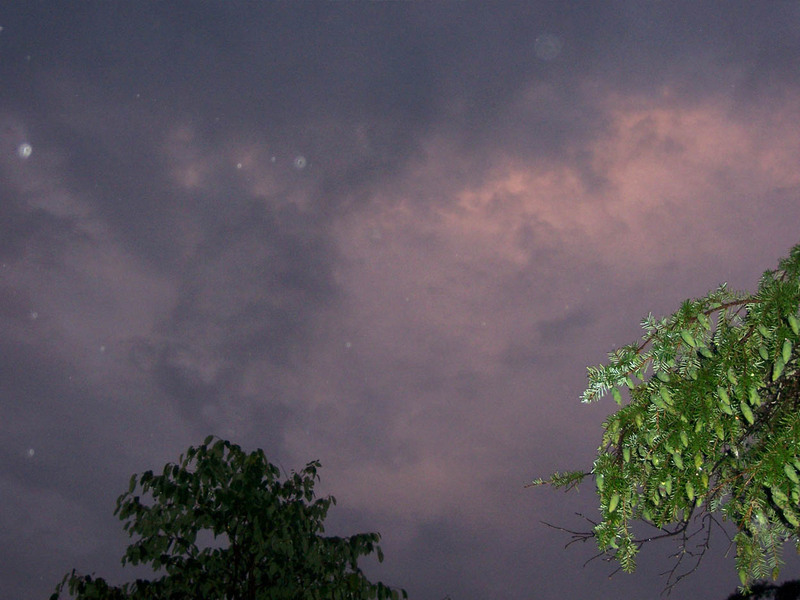 On another night, we observed numerous small points of light in the leaves and branches of the trees below us. They glowed steadily with their own light. They were too far below to clearly discern what they were. Near dusk, we tried the camera’s flash to illuminate the air around us. 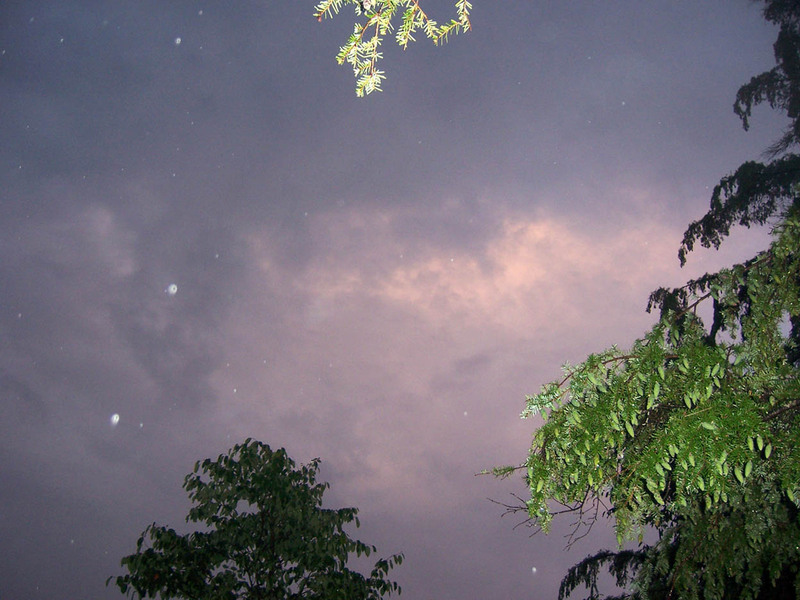 Perhaps the light would reveal transparent objects moving through the air around us. Here is how the scene looked with no flash, and then with a flash. Here are several other images captured using the flash. There was no precipitation. 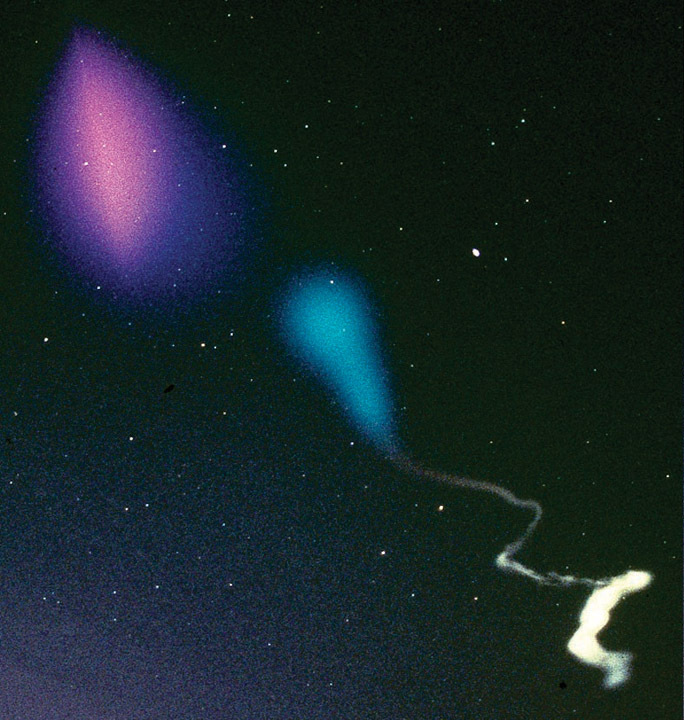 Could these objects revealed by light actually be immature examples of living Brown Mountain Lights? Many invertebrates spawn large numbers of young that mature over a growing season. 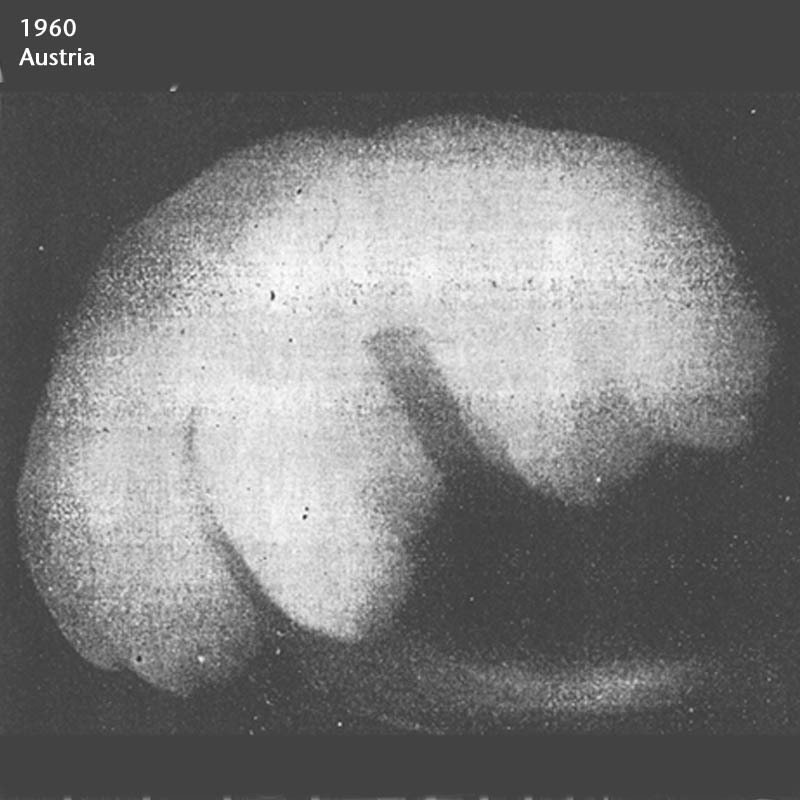 If the large balls of light seen in late summer and early fall are indeed mature organisms, perhaps numerous immature organisms might be found in late spring and summer. 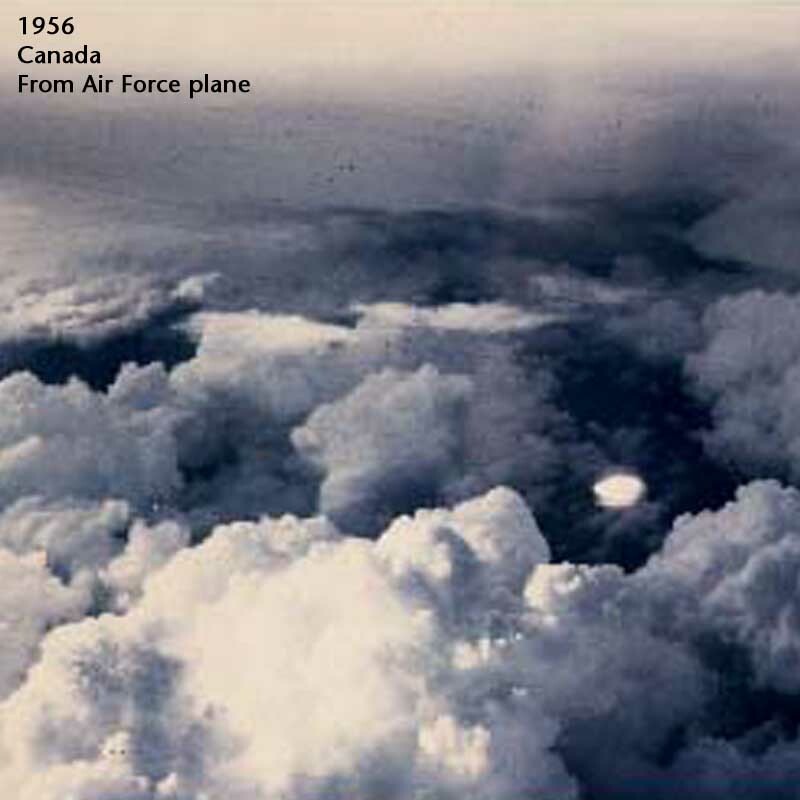 Note the tower observers saw the 3-feet balls of light in August. 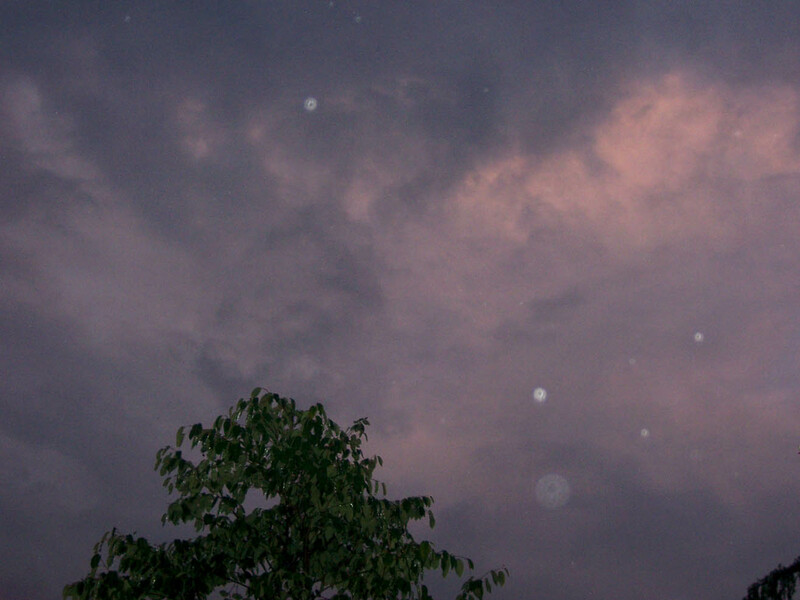 If some luminous atmospheric phenomena are indeed atmospheric invertebrates, they might act like the Brown Mountain Lights. The area surrounding Brown Mountain seems to provide an ideal habitat for such creatures, with crevices in the ground for shelter, access to water, open air for movement, and relative protection from human activities. Further study will help determine if the Brown Mountain lights are actually atmospheric organisms. True study might require patient commitment over many locations, devices, and seasons, with the stealth, discretion, and commitment required for successful wildlife studies. Powerful telephoto lenses, possibly in conjunction with low-light infrared and ultraviolet cameras, could help reveal the nature of lights on distant mountains. Microscopic cameras lowered into crevices and treetops might reveal potential organisms in various stages of development. Taking a cue from the 1962 study, a tower on the mountain could provide a unique vantage point to observe and record the emergence of any creatures from their homes in mountain crevices. 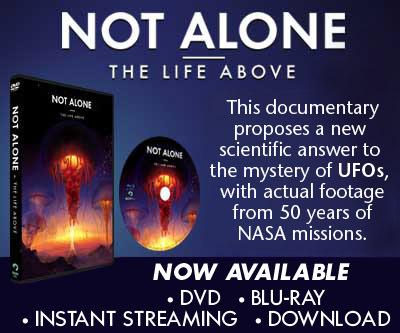 To avoid adverse neurological effects like those experienced by the 1962 researchers, observers should watch from an enclosed shelter or wear protective gear. 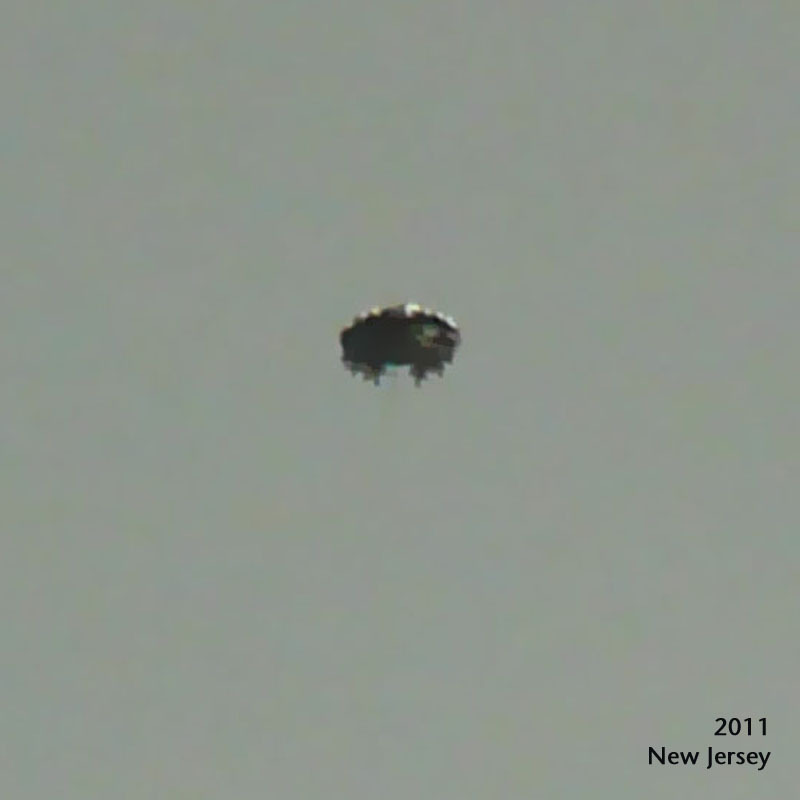 Are the Brown Mountain lights atmospheric life forms or some other currently unexplained natural phenomena? Only further study will determine their true nature. For now, the stunningly beautiful Blue Ridge mountains hold the secret to this mystery. 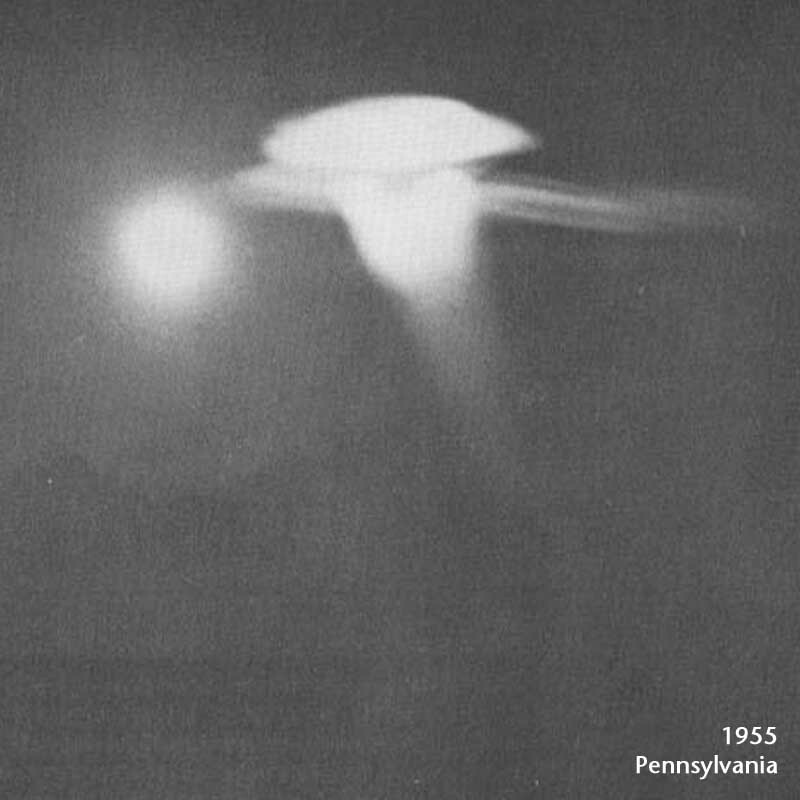 A 47-year search for the source of the famed “Brown Mountain Lights” may be near an end, but it appears there may be a bigger mystery to solve. Paul Rose, a Jonas Ridge nurseryman, said a dozen men stood on a tower atop Brown Mountain Wednesday night and watched the fabled lights flash out of nearby crevices. Rose said of the 12 men atop the 50-foot tower, 11 felt the sense of dizziness. The other felt nothing. Rose said he believes the lights are radioactive or contain some magnetic element. “The lights seemed to come through the trees, down the mountain, under a cliff and back up again,” he said. Rose said he is anxious to get the opinion of a professional geologist who may be able to determine why the lights would make people dizzy. Rose and scores of volunteers carried lumber up the mountain last Monday and erected the tower so that viewers could look down into crevices from which the lights appeared to come. Brown Mountain lies about 12 miles east of Highway 181 near Jonas Ridge. Rose said the lights are visible about 10 p.m. and again about 3 a.m. from the highway. He said hundreds of people had visited the area and seen the lights. But Rose, whose mountain nursery is located nearby, said he has been viewing them for nearly 40 years.